Wilkus Architects had the opportunity to work with The Loop in getting their new space permitted and constructed in St. Louis Park, Minnesota. The Loop West End has officially opened their new space in St. Louis Park, Minnesota. Located at 5331 West 16th Street, The Loop’s mission is to establish a local, fun and fresh destination for its customers. Wilkus Architects had the opportunity to work with The Loop in getting their new space permitted and constructed in St. Louis Park, Minnesota. In addition to their spaces in Rochester and Minneapolis, The Loop looked to jump into the bustling energy at the West End. The new restaurant carries similar design characteristics with it to help enhance their brand. Wilkus Architects provided design services from design development through construction administration. The design solution was found through a design-build process with design by Cynthia O’Connor and Dering Pierson Group as the design-build contractor. 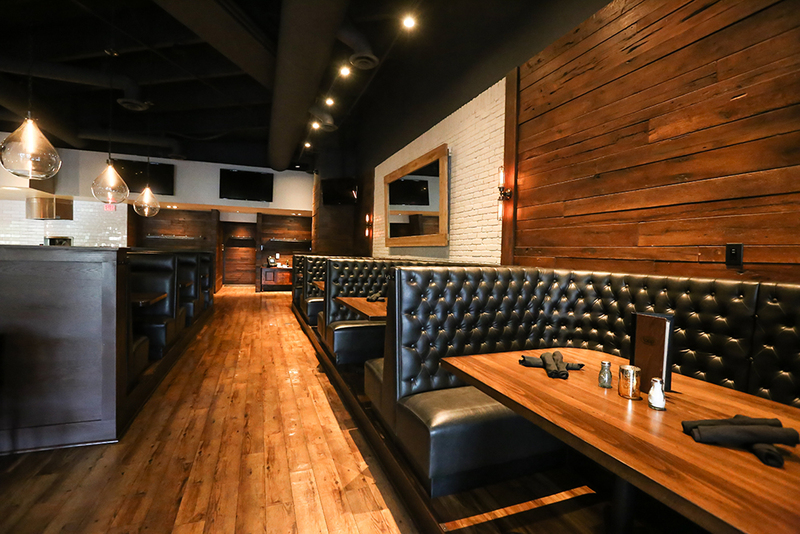 The design includes a large open concept bar, large built in booths, high top seating areas and a large brick focal wall.